CLOSEOUTS. 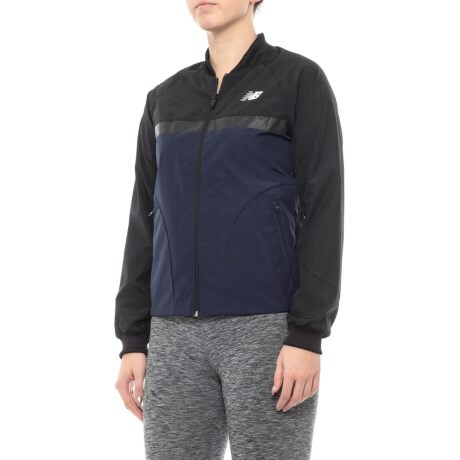 Perfect for taking the chill out of your morning workouts, this New Balance Athletics 78 jacket sports bomber-style rib-knitting at the edges and a water-resistant shell. Available Colors: BLACK, LIGHT SLATE. Sizes: XS, S, M, L, XL.